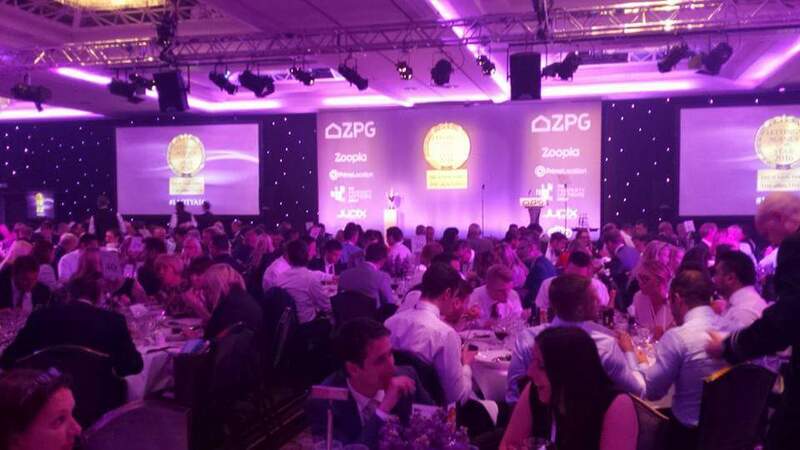 Lovett Lettings were invited to attend the Zoopla Property Group Annual Letting Agent of the Year Awards at the Lancaster Hotel London. We were up for a number of awards so we just had to attend! The Lovett Staff made their way up the night before for the glamorous event via private mini bus and arrived at the Royal Eagle Hotel, Paddington. 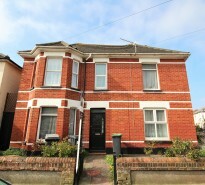 Great location and only a 5 minute walk away. 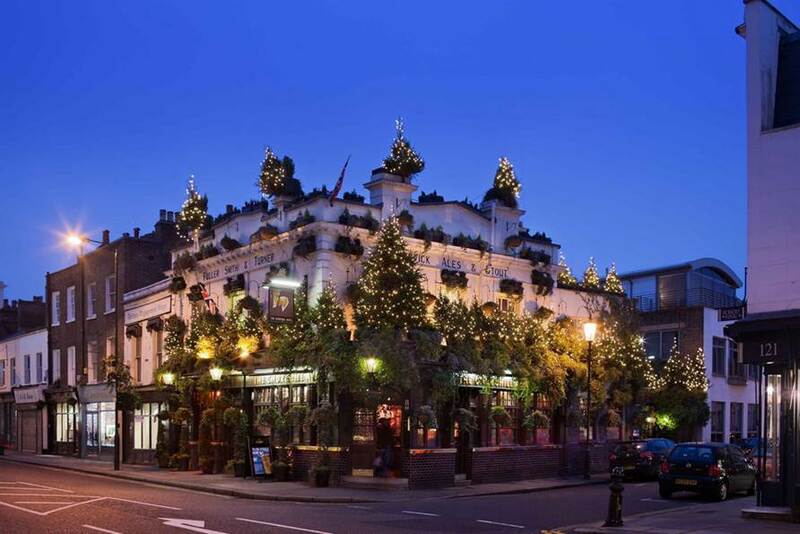 We ventured out and we had some of the best recommended venues to go to from our CEO Max, after a luxurious cocktail at Piano Bar, Kensington, we made our way to the Churchill Arms where we had some delicious Thai food, and inside…well… looks can be deceiving! If you ever are in the area, its a must visit! 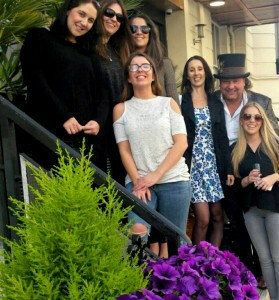 We left our hotel around 8am to head to the Lancaster Hotel, and we were all on high spirits and excited for the day to come. As we arrived we were greeted by lots of exhibitionists and companies ready to chat and network with all the agents. 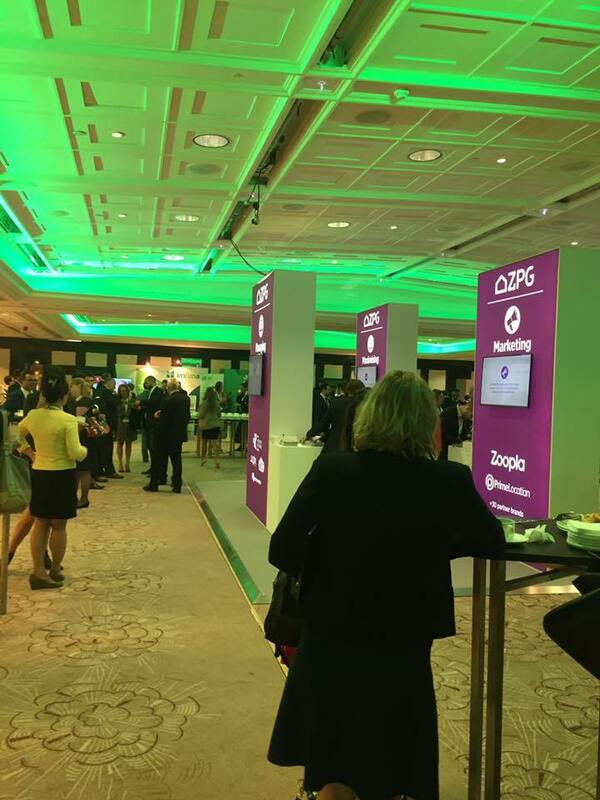 Some of the companies we use already such as DPS, VTUK and Metropix were attending, which was good to let them know during our networking we were a valued customer. We LOVED Rightmove’s stand which was full of goodies to take away, and later on they provided us with a demo of the up and coming virtual tours where clients are able to have real virtual tours of properties if they are unable to attend themselves. It was a simple and handy device and all we did was place our phones in and away you go! 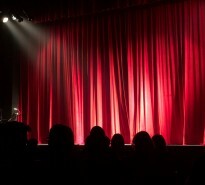 Could it be the future of estate agency? We then went on to our seminars with world class speakers who delivered a range of inspiring and informative talks to the audience. 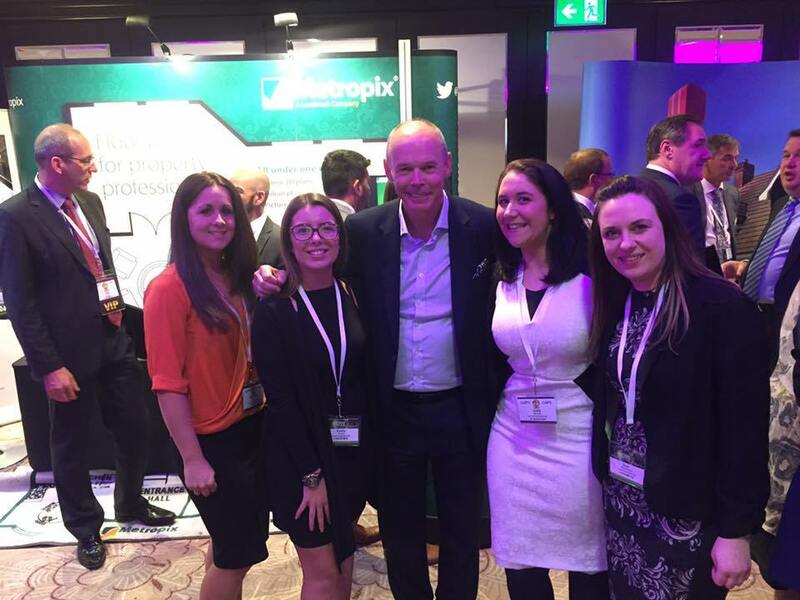 This years key note speaker was none other than Sir Clive Woodward, Clive spoke on how to create an environment so good that everyone wants to be a part of. His session ‘One Team’ encapsulates the collaborative leadership model Clive successfully applied to the World Cup winning England rugby team, and Team GB at London 2012. 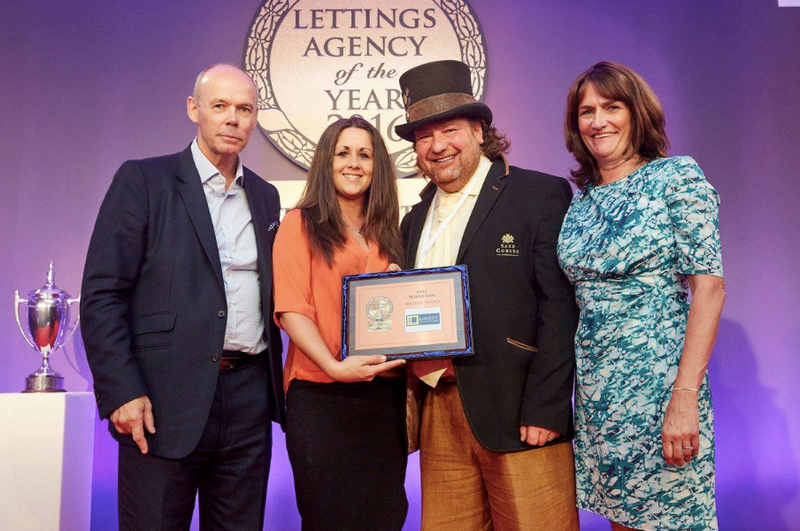 We also spoke with Clive afterwards and he congratulated us and Charlotte our lettings manager for being shortlisted for the Lettings Branch Manager award. After the seminars, our team sat at our table for a delicious two course meal and a chance for us to get ready for the awards ceremony. As the awards commenced, we got a chance to see where other agencies had travelled from and how high the bar is set. We then get to the awards for best marketing. And we win BRONZE! We all stand up and cheer very loudly and Charlotte and Max go up to the stage to collect our plaque. 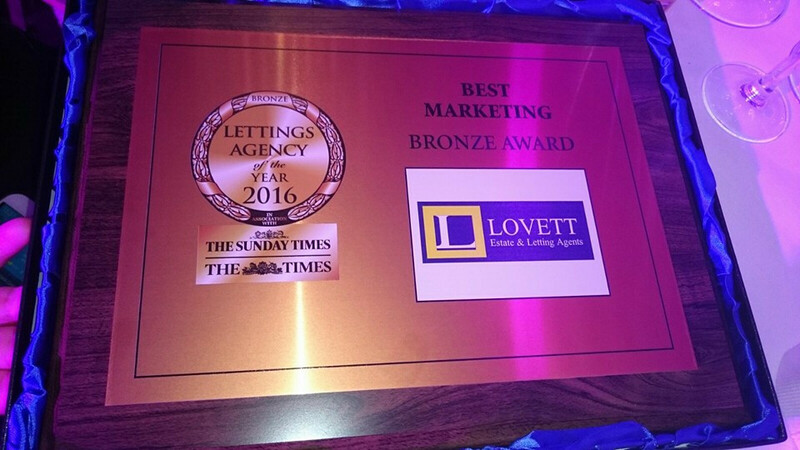 A well deserved prize for Lovett as we all work so hard on our marketing campaigns and keeping the Lovett brand clear, concise and recognisable in our region. We then approach the more specialist and personal awards and Charlotte goes to the stage to collect her award for being down to the last 5 shortlisted Managers. 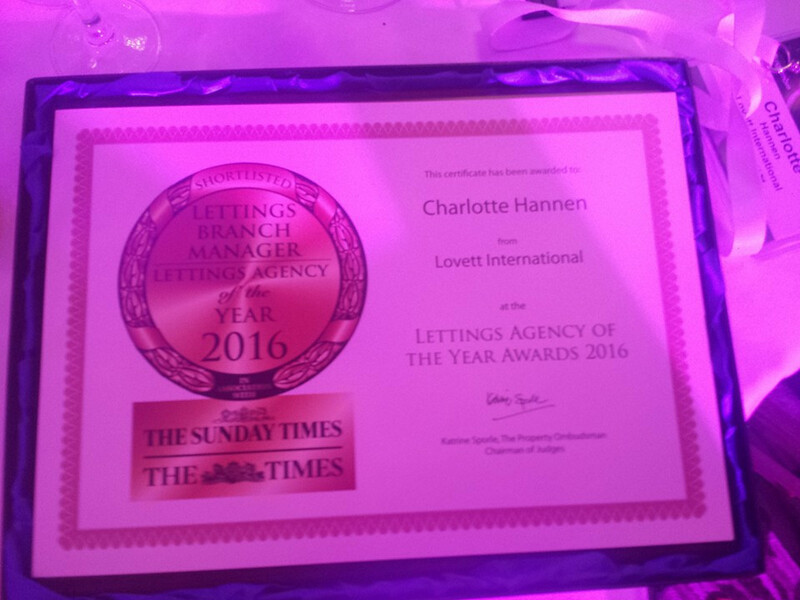 We are so proud of her achievements at Lovett and we are certainly lucky having a manager so highly regarded, hard working, fair and extremely selfless for her team. We think this is rare and we hope next year she takes the Gold! We left the awards an extremely proud team and we thank the company for giving us the opportunity to attend the Awards and not only bond even more as a team but taking away helpful advice to implement into our company and make it even better! We will be back!